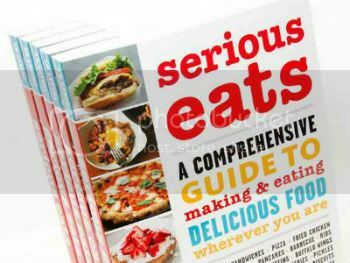 It seems the good folks at the Clarkson Potter imprint of the Crown Publishing Group at Random House have done it again by publishing what I consider a must-have for the on-the-go cookbook shelf titled, Serious Eats: A Comprehensive Guide to Making and Eating Delicious Food Wherever You Are. I picked this one up a few days ago, and just as described, it's 368 full-color pages and simply one impassioned study of favorite eats from across the country—from food trucks to fine dining and everywhere in between. (Ah, food trucks…what would the congestion of downtown Manhattan be without 'em?) It also covers the best pies and sliders and brisket and croissants and fried chicken, as well a. 50 recipes developed by J. Kenji López-Alt. and mouthwatering photos from Robyn Lee. Not to mention tales from the road, introductions to many of the fine folks making this fine food, and theories on oatmeal and American cheese, pizza ovens and sandwich construction…and more. This of course is along with a few classic Serious Eats website gems you've seen before such as the heralded: Hamburger Fatty Melt. There's certainly no doubt that Super Bowl Sunday is a great day for beer drinkers. And as with football itself, there are some unwritten rules (always have been -- always will be). First, aim to please a crowd, so stick to familiar flavors. That means nothing overly sweet or sour. Second, serve brews that will complement, not overwhelm, your dishes. Third, since the game lasts many hours, pace the food and the boozing. Avoid high-alcohol beers—you don't want the lightweights to fall asleep...or worse. And finally, offer some sort of variety so there's something -- for everyone. So with that said, here are five beers sold nationwide that represent a healthy mix of light/dark, can/bottle, domestic/foreign, and familiar/obscure. And yes, they all work with pizza. 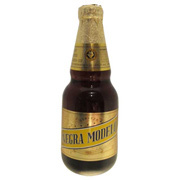 Corona may be the best-selling nondomestic beer in the USA, but Negra Modelo, first brewed by Austrians in Mexico in 1926, is a better choice if you're thinking about food pairings. With its copper color, Negra pours darker than most lagers. 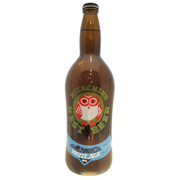 It is sweet, with hints of nuttiness on the nose, and has a refreshingly potent carbonation. A hoppy bitter finish adds complexity. Lime wedge optional. Negra is strong enough to stand up to the jalepeño sour cream but doesn't overwhelm the lime-tossed turkey or bell peppers. 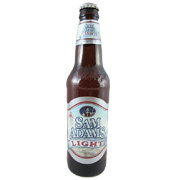 Unlike many other flavorless and appallingly watery light beers, Sam Adams Light shows real depth: toasty/bready aromas, gentle spiciness, and even a hint of tropical fruit. With only a slight trace of bitterness, this is a malty, crisp beer that goes down smooth. As an alternative to Bud, Miller, and Coors, Sam Adams Light is perfect for fans of mindless chugging and ideal for folks who are watching their weight. Note, however, that with 124 calories per 12-ounce bottle, this isn't exactly a 55-calorie beer. It's a classic tailgate/grilling pairing. Cook the mild-flavored sausage in Sam Adams to bring out perfectly complementary flavors. 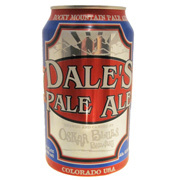 Thanks to Oskar Blues Brewery, fans of hops, IPAs, and canned beers have had Dale's to rave about since its debut in 2002 when the company launched its canned beer business. With its hazy orange coloring, citrus flavors, and notes of pepper and pine, the stuff certainly stands out in a crowd (it's won numerous awards). And because it is the Super Bowl, there's the inevitable horseplay—"catch this!" and "toss me one!" come to mind—making these cans perfect for the day's event. Not only do cans protect beer from light and oxygen better than most bottles, they're easily transported (lighter and more compact than bottles), and don't shatter when dropped. No fumbling here. Dale's citrus and pine notes balance out the potato skins' highly aromatic butter and garlic flavors. 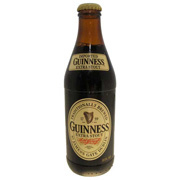 Contrary to popular myth, Guinness is not necessarily stronger in flavor than other beers, nor is it more alcoholic. Thus, it is a perfectly acceptable brew for Super Bowl Sunday, especially when paired with dishes that use stout in the recipe—of which there are many. The Extra Stout pours an oily black and boasts a combination of dry, smoky/toasted, and bitter flavors (some enthusiasts also detect hints of coffee and chocolate), and is known for its thick, creamy head. Fans in Ireland, where Guinness was born more than 200 years ago, have traditionally consumed it alongside either a ploughman's lunch (think cheese, pickles, and bread) or heartier roasts and beefs stews. The beer brings out the smoky flavors in the chili, and you can even use Guinness as the "one bottle of dark beer" in the recipe. It sounds like a gamble to serve something as odd as Japan's Hitachino Nest White Ale at a Super Bowl party. But with hints of orange peel, coriander, nutmeg, and clove, this Belgian-style wheat beer has turned out to be a major hit in the U.S., and appears on beer lists at all kinds of restaurants. Kiuchi Brewery, established in 1823, only started offering Hitachino Nest in America in 2000, but the recipe likely borrows from the medieval times, when beers were brewed with spices and herbs instead of hops. Though chicken normally begs for a lager or Pilsner, these wings need the beer's juicy spiciness to tame the peanut oil, soy sauce, chili-garlic sauce, and crushed red peppers.